Now that the mid-terms are over, and the new Congress has started, political observers have already started to focus on the 2020 presidential campaign. 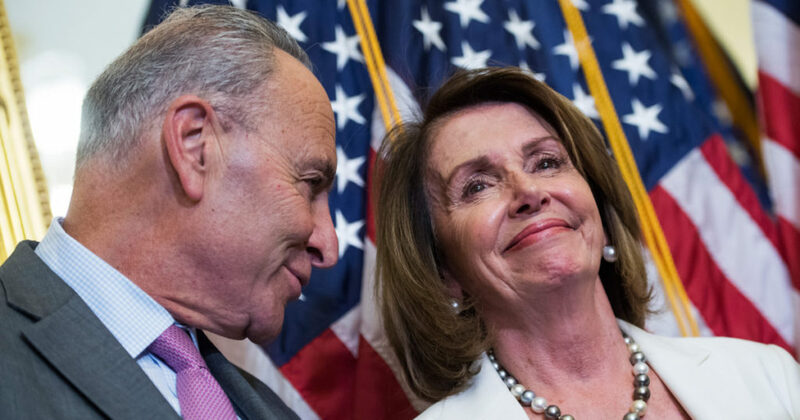 Every election cycle it begins earlier, especially in this case, because the Democrats and their supporters in the media are obsessed with defeating President Donald Trump. The hatred from the left for Donald Trump is off the charts and it is getting worse all the time. This anger is fueling the 2020 presidential contest for Democrats and, as a result, contenders are pledging to stop the Trump agenda, support the Mueller investigation and the ultimate prize, impeachment. According to one estimate, there are more than three dozen potential contenders for the 2020 Democratic Party presidential nomination. This type of intense interest is due to the irrational and delusional beliefs among many Democrats that President Trump is “dangerous,” “racist,” or a “puppet of Vladimir Putin.” All of these views are truly ridiculous, but they are held by many leading Democrats, including their potential presidential candidates. Instead of fixating on President Trump, Democrats should develop a series of proposals on how to improve the lives of Americans. Until now, what has been offered by Democrats has been far left ideas such as a “Green New Deal” or “Medicare for All.” Unfortunately, these programs would require a massive increase in taxes and an explosion of our national debt, but the plans are consistent with the typical Democrat ‘tax and spend” philosophy. If the next election focuses on ideas and the future of America, Donald Trump will easily win. He can claim that Americans are “better off” than they were when he was elected. This is how GOP presidential nominee Ronald Reagan defeated President Jimmy Carter in 1980. At that time, Americans were suffering economically and were feeling insecure about the country’s standing in the world. In contrast, Americans today realize the economy is doing extremely well, and the President has taken important steps to make our country safer. Clearly, we are “better off” due to Donald Trump. In 1992, Democratic presidential nominee Bill Clinton’s entire campaign was focused on “the economy stupid.” While President George H. W. Bush won the Gulf War and defeated Saddam Hussein, Americans were more interested in their personal financial situation and the economy was not doing well. Thus, Clinton won and Bush, who had enjoyed a 91% approval rating the year before, lost by a wide margin. If the 2020 election is centered on the economy, President Trump will win easily. Thus, Democrats will focus on other issues such as the President’s character, the controversies surrounding his personal life, the Mueller investigation and the unfounded allegations of “Russian collusion.” Their campaign will be concentrated on the politics of personal destruction, which are the same tactics used by President Clinton to demonize the women who had accused him of sexual misconduct. President Trump will be the emphasis, not his policies, but his personality. However, if any attention is placed on the Democrats, voters will be amused, but not impressed. For example, the first Democratic presidential contender to campaign in Iowa was U.S. Senator Elizabeth Warren (D-MA). Recently, she embarrassed herself by releasing DNA results that showed she may only be 1/1024 percent Native American, less than the average White American. Her claim to be a minority, which led to lucrative teaching positions, has now been exposed as a total sham. Last week, Warren tried to humanize herself by posting a video drinking a beer in her kitchen. While it looked ridiculous, it was positively dignified compared to the video posted by former Texas U.S. Senate candidate Beto O’Rourke. He live streamed a teeth cleaning session at the dentist’s office. It was a bizarre attempt to show opposition to the border wall and praise a dental hygienist because her mother was born in Mexico. In reality, it made O’Rourke look foolish and very un-presidential to say the least. Other Democrat candidates may start campaigning soon. The political world should eagerly anticipate the entry of U.S. Senator Cory Booker (D-NJ), aka “Spartacus.” He will have a chance to explain his admission, in a newspaper column, of sexual harassment and groping of a friend. On the issue of sexual harassment, U.S. Senator Bernie Sanders (I-VT) will surely continue to apologize for his lack of action during the 2016 presidential campaign after serious allegations of sexual harassment were made against one of his top political operatives. As more attention is placed on the ideas, odd choices and political controversies surrounding the Democratic presidential candidates, Donald Trump will grow stronger. Let the 2020 freak show begin, it will be a campaign for the ages.